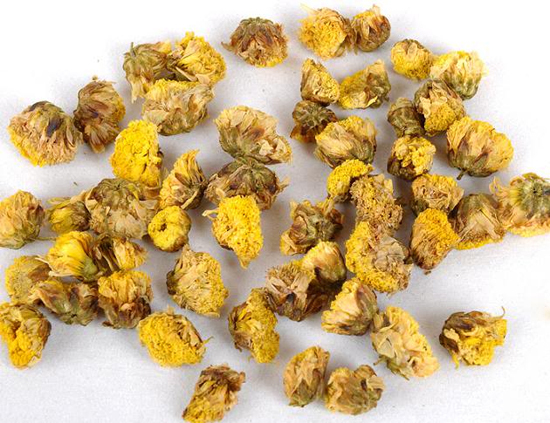 The entire wild chrysanthemum flower is used. It is pungent, bitter and slightly cold in property. The herb enters the lung and liver meridians. It is used to clear heat and release toxins in furuncles, carbuncles and sore throat. The combination of Wild chrysanthemum flower (Yejuhua), Dandelion herb (Pugongying), Viola (Zihuadiding) and Honeysuckle flower (Jinyinhua) are mainly used. The dosage can be 10-18 g. For external application, the proper dosage should be taken into consideration.